We implement a strict environmental policy which ensures that we exercise proper control over our activities to discourage environmentally damaging and wasteful practices. Poly Postal Packaging complies with all requirements of legislation and is always striving to achieve ever improved standards. We recycle all of our polythene process waste and most of this recycled product is used to manufacture new product. We also recycle all office paper, process and office cardboard, reel cores and printer cartridges. Where possible, we always try to ensure that a product bought from Poly Postal Packaging is either, recyclable, made from recycled material, degradable, oxo or bio-degradable or fully compostable to further improve our overall environmental performance and offer environmentally sound products to our customers. 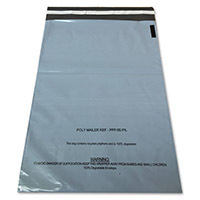 All of our polythene/plastic products, which include carrier bags, polybags, mailing bags for example, are 100% recyclable unless stated otherwise. Our stock range of Standard Grey Mailing Bags are manufactured using a minimum of 70% of recycled materials, whereas our Grey Eco Mailing bags are 100% Oxo-Biodegradable. You can read the tech specs on the Oxo-Biodegradable additives here. A great deal of publicity surrounds the use of plastic bags at present. It is clear that we should use all the world's resources carefully and with as little waste as possible. 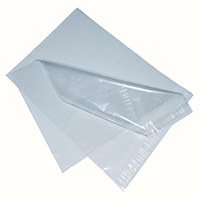 Polythene envelopes, however, allow a greater weight of insert to be housed in a water-proof and secure way. The weight of paper required to meet similar strength criteria is very much higher which causes additional costs and waste in the distribution chain. In addition, on a like-for-like weight basis, paper uses 100% more power to manufacture. So, for a lightweight, recyclable and attractive product, choose polythene! 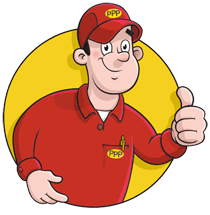 All orders placed with Poly Postal Packaging are progressed by senior management at every stage and full customer contact maintained throughout. We are committed to ensuring that all orders are fulfilled. We recognise the importance of packaging, and how it is used reflect the value of your product. Only the highest grade raw materials are used, with adequate stock maintained at all times.